Have just opened its 5th store in SA and its in Gateway and as they promised it is home to the latest footwear and accessories. but unfortunately it wasn't my "cup of fragrance" I'm afraid. 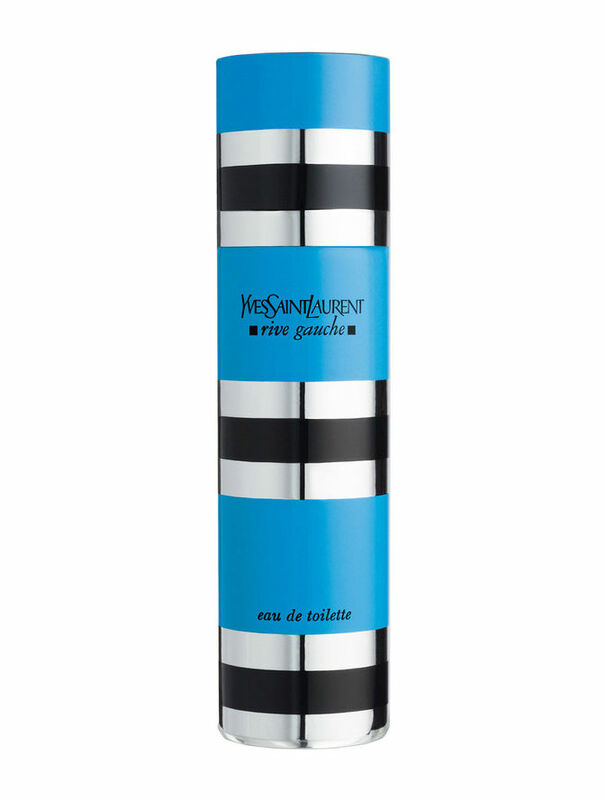 I was so intrigued by the name,the bottle and the ad and the fact that it had only previously been available in their Paris boutique, I was really expecting to fall in love with their latest creation. In fairness Guerlain is a true fragrance house and has created over 300 fragrances in their long history, so they are really not appealing to the masses with any of their fragrances. La Petite Robe Noire has olfactory notes of Black Cherry, Almond, Rose, Liquorice and Black Tea and is very unusual..to me that is, but I can imagine that if this is your type of fragrance, then you will absolutely fall head over heels "in love" with the "Little Black Dress"
from selected Stuttafords and Woolworths country wide. 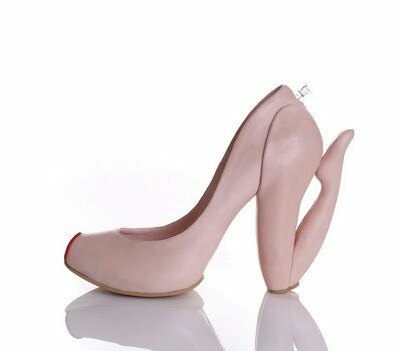 NOT ONLY FOR PREGNANT LADIES! "It's Your Body Leg And Foot Cooling Spritz"
and has been specially formulated with menthol, lemon and horse chestnut extracts to help reduce inflammation and to cool and revive tired and aching legs and feet. or just kept in your bag to "Spritz" whenever required. The product is Dermatologically tested and hypoallergenic and suitable for sensitive skin. Can you believe that it has been nearly 18 years since the cK one fragrance was launched...and I feel like one of my children is about to "come of age". I was involved with the launch in South Africa...and what a launch it was!.. 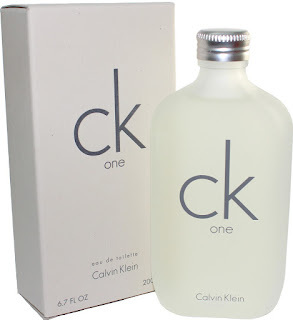 and without taking away the "thunder" from any other perfume launches in SA, the cK one still stands out within the industry, as one of the best ever! 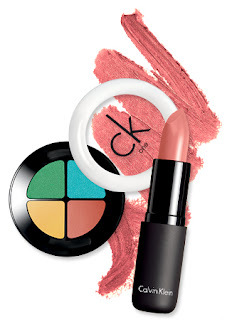 Now that cK one is all grown up...Coty Prestige are busy expanding the unisex fragrance range to include make-up. As always with the cK brand "expect the unexpected". Research has shown that more and more males are wearing colour products, so the cK colour collection will also be unisex..
Packaged in black and white it also will offer a few new different categories, which will also include several multi-task products. 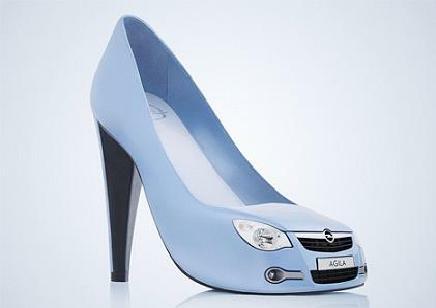 I can't wait to see the reasonably priced collection at selected Edgars stores soon! As you know I am not a tea or coffee drinker, but I am aware of the benefits for ones health and well being by drinking herbal teas....several years ago I did manage to drink a cup of Green Tea everyday for six months,which for me was a huge achievement. 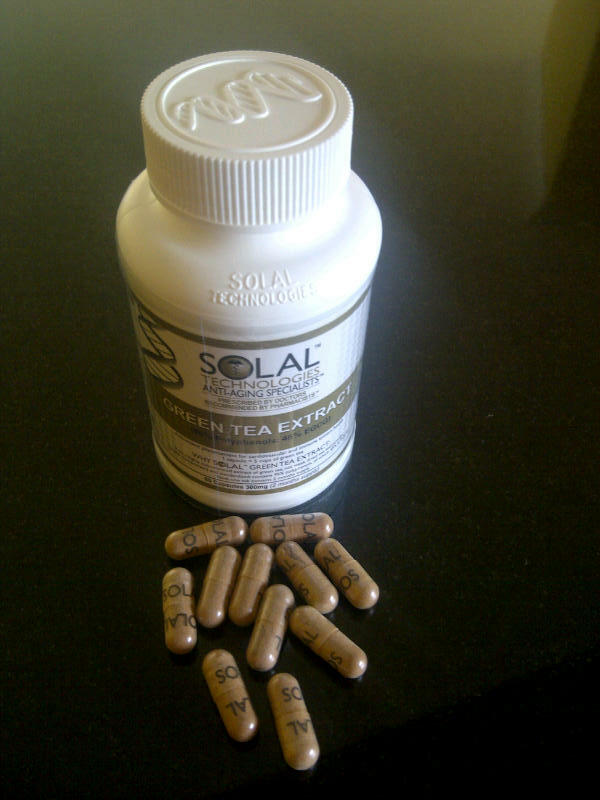 Alas that "taste" and that morning dread of "downing" a green cuppa was so unbearable that I eventually had to give up the daily green tea....So you can imagine my absolute delight when Solal came out with Green Tea Extract capsules....yeah! Green Tea was originally discovered in China and the health benefits seem to be endless. Green Tea is an excellent source of Polyphenols, (Plants contain a large number of compounds that work as antioxidants to protect the cells in your body from free radical damage. 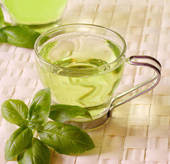 There are three major groups:the largest group, the polyphenols and they are found in many different foods) Green Tea also improves heart health by helping to lower Cholesterol,reducing blood stickiness and slows down the formation of blocked arteries.It also has a broad anti-oxidant and immune system enhancing effects,which may explain its effects on reducing the risk of many cancers. Studies have suggested that drinking Green Tea may increase the rate of fat burning during exercise. (that's always useful) It may also reduce the likelihood of developing Alzheimer's disease by helping to protect brain function in ageing individuals. How cool is this....Do you think the 8 glasses a day rule still applies? I have always used either Redken, Kerastase or the L'Oreal professional range of products on my hair and a couple of years ago I "used to" treat my hair to the Kerastase Micro Mist Treatment during my six weekly visits. I say "used to" because I haven't had one for some months...but today my "tresses" were given a wonderful treat! This treatment is a must for Dry, Damaged, processed and generally hair in bad condition. The Micro Mist generates mist by ultrasound to improve your treatment. The mist particles made by Micro Mist are much smaller and lighter than those of steam and penetrate the cuticle of the hair to a greater depth. 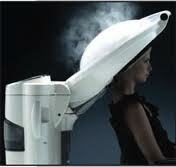 This means the Micro Mist pushes the pre applied Kerastase treatment product deeper into your hair where it is needed. At the end of the treatment, Micro Mist's cooling system comes on and cools the hair, closing the cuticle and trapping the treatment product inside. This gives a much stronger and longer lasting result. This treatment really works wonders on your hair leaving it softer,visibly smoother and shinier...all of which, was sadly lacking in my hair. It's better to keep up with the Mist treatment monthly or bi monthly to maintain these fantastic results , but if your hair is far from its peak then, this is most definitely the treatment to get "hair things" back on track. Buy 3 Kerastase products & get the Mist treatment will be free! If you normally buy Kerastase hair products then do yourself a favour and take advantage of this offer and experience the Mist for free....your hair will most probably love you for it! The Micro Mist....truly is a Genius! I WAS A MOTHERCARE BABY! Mothercare is a specialist retailer of products for mothers-to-be, babies and children up to the age of eight. 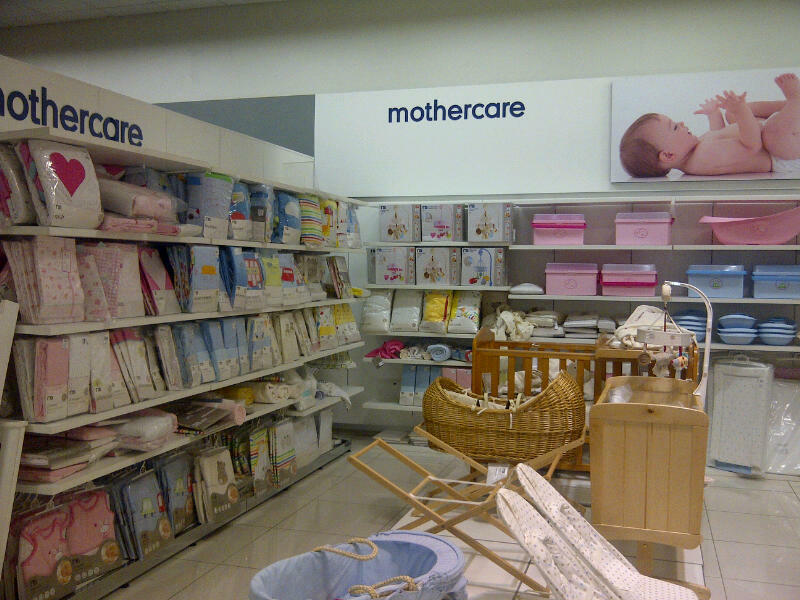 Mothercare opened its first store in 1961 in Surrey. Initially the business focused on pushchairs, nursery furniture and maternity clothing, but it subsequently expanded its range to include clothing for children up to the age of five and later up to the age of eight. It now offers a wide range of maternity and children's clothing, furniture and home furnishings, bedding, feeding, bathing, travel equipment and toys through its retail operations in the United Kingdom. Mothercare over the last 50 years had been through the hands of many of the UK high street retail giants like Habitat,Boots and Bhs (British Home Stores). Mothercare purchased Early Learning Centre in 2007. In the UK Mothercare is known by all... and over more recent years they have spread their "mothering" arms around the world through franchises in Europe, the Middle East, Africa and the Far East under the 'Mothercare' brand name. At the time I had my eldest the selection and range of baby goods in South Africa was..I thought, very poor...thankfully Mothercare and a family friend came to my rescue. Arrive they did and they have stood the test of two boys and the test of time! 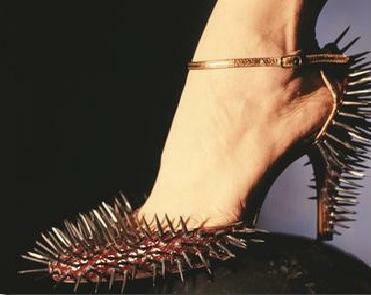 they have been created to be worn daily and for you to enjoy! Does it smell good or is it starting to smell different? The intensity of a fragrance will fade gradually with age but if it's smelling unpleasant or sour then its "Past its Best"
Has the colour of the fragrance changed? 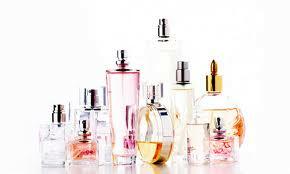 Some fragrances will start to turn darker or even fade in colour as they age. Citrus, fresher fragrances don't generally tend to last as long as their more Spicy, Oriental counterparts. Splash On, as they are less open to contamination. Fragrance does not last forever....as much as we would love them to, they just don't! A good branded fragrance made with quality ingredients will have an approximate 2-5 year shelf life. The problem is that consumers have no idea how long the product has been on the retailers shelf for, as fragrances are not required to have a manufacture date on the packaging or the product, so ensure that you buy from a retailer that has a good turn over of stock. If you are not a daily user of "smellies" then consider buying the smaller sizes, like the 30mls of 50mls rather than the more economical 100ml sizes. "Who Knows" there could be many memories just waiting to be created! 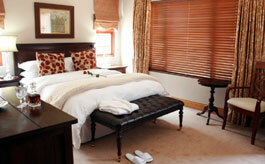 If ever you are looking for accommodation in the Rivonia area of Johannesburg I can highly recommend the Bellgrove House....tired of staying at the usual chain hotels I decide a change was needed. I actually ended up staying at Bellgrove due to an overbooking in the nearby Bed & Breakfast where I had stayed several times before....I must say after a long working day I wasn't impressed when I arrived and the receptionist explained the situation, so me being the accommodating sole that I am.....tongue in cheek! I made the short journey to Bellgrove where they had booked me in as my replacement home for the week. As soon as I arrived and was very efficiently welcomed by Rhoda, I knew immediately that this was a good alternative...which now meant that the previous B&B had lost a regular...sorry! There are seven spacious suites that are spotlessly clean and beautifully decorated by the owner Irene Bell who hails from Scotland....You can see that attention to detail is Irene's forte... .and she really does make every guest feel very welcome with all those extra little touches that the larger hotels fail to offer. Your "delish" breakfast is cooked to order and can be served out on the patio amongst the beautiful rose bushes & overlooking the pool ...what a great way to start your day! I have stayed several times at Bellgrove & Irene and Rhoda really do go the extra mile, as nothing is too much trouble....for females travelling on their own "its a must place to stay". Oh! I nearly forgot to mention, they can also organise a wonderful male masseur/reflexologist called Quintin to visit in the evenings.....this is a must for me during every stay, as in the evenings I have the time whereas back at home its more difficult... but that's a post for another day! 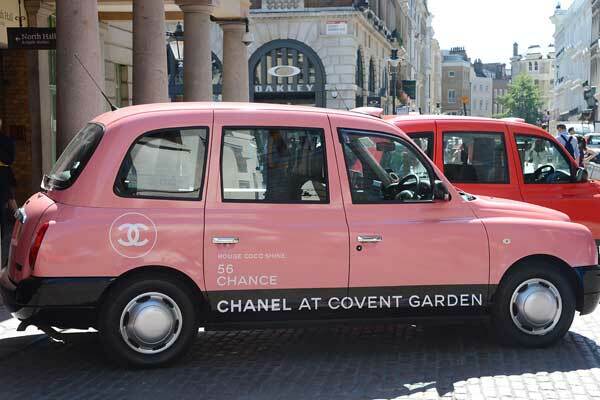 If you were lucky enough to be in London recently you may have spotted one of the twenty five "Chanel" Taxis zooting around painted in the most popular "Chanel" nail and lipstick colours....you could hardly miss them I'm sure. 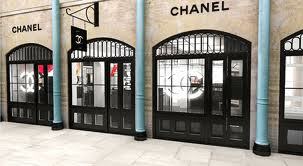 and a 25 pound discount voucher to spend on your favourite "Chanel" products at Covent Garden store,on that specific day. 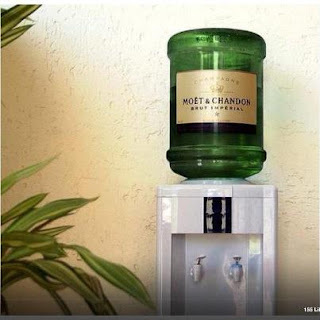 What more could a girl have asked for? I am so excited to write about these next products....Every time I go overseas my suitcase never returns without some of the Yankee Candle products squashed and squeezed into the "nooks and crannies" of my luggage! 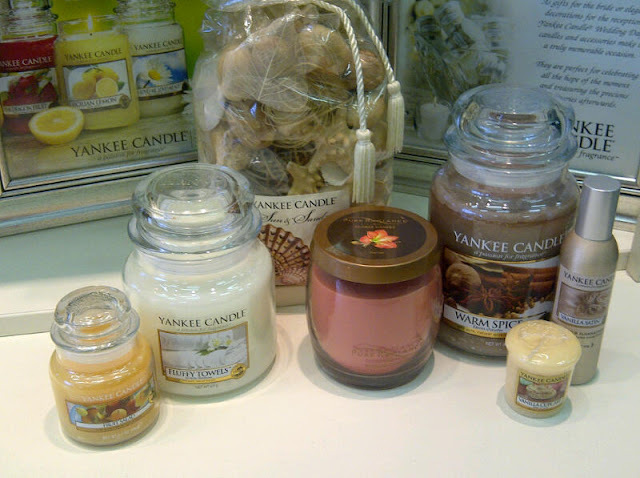 The Yankee Candle Company is the largest U.S. manufacturer of scented candles and was established in 1969.. The company is located in South Deerfield, Massachusetts and has over 1200 outlets around the US. So you can imagine my absolute delight when I recently went to a local shopping centre and this is what I saw as I pass "Mobelli" an upmarket outdoor furniture shop. but in my haste to get to the wall units crammed with all their goodies, I tripped through the door. I could sense that I was quickly loosing control of my "Kurt Geigers" but luckily with the help of some garden furniture on display, I didn't actually go down! The Yankee Candle Company markets an array of products, including candles of various scents and sizes, scented wax tarts, candle accessories, votive candles (Samplers), votive candle holders, tart warmers, jar toppers (for use with the Housewarmer line of candles), reed diffusers, Pot Pourri's, Electric Home Fragrance units (scented wall plug-ins), car scents, room sprays, Good Air products, and more. Well! its simple, they have a choice of over 200 fragrances...and the fragrance is authentic and true to life, of a good quality & fragrant your room beautifully....and as an added bonus the prices are good! Upon cooling it hardens until you are ready to re light. 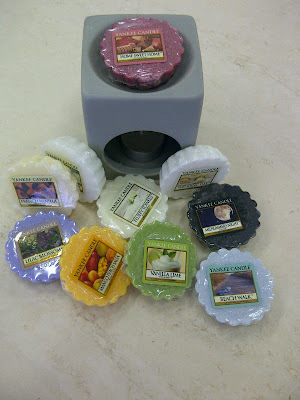 They last for such a long time and the above makes a lovely gift for under R100. My personal favourite Tarts are Mango Peach Salsa,French Vanilla,Fresh Cut Roses & of course the Strawberry Buttercream. This is so true as fragrance has the ability to take us back in time as we often associate a particular fragrance with a certain person or events in our lives...We all have a memory of the first fragrance that made an impression on us whether we liked it or not.I am sure you can all remember the fragrance you were given by your first true love or the perfume you wore on your wedding day. 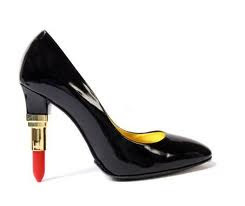 One of my early and most vivid recollections of a perfume was one that I didn't like or dislike, but it is just a memory and an association with a relative..It was worn by an Aunt and every time she visited it would linger in the air,on the furniture where she had sat, her clothes would always smell...the perfume was just "HER". 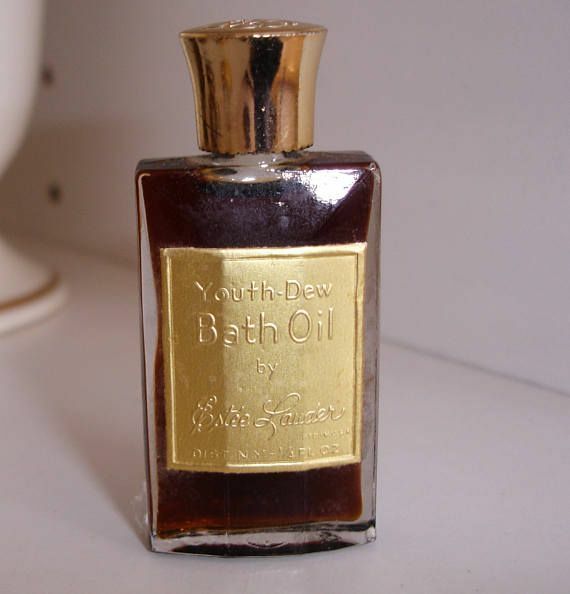 I remember seeing the bottle one day in her open handbag and it was Estee Lauder's Youth Dew Bath Oil, hence the intensity.Youth Dew was originally launched as a Bath Oil only! Looking back this heady, oriental, spicy fragrance suited her and will always remind me of this larger than life character. 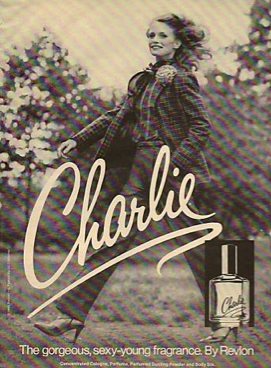 I wonder if she is still wearing her trademark fragrance wherever she goes or has she moved on? Every year in December I would get the special Christmas Charlie gift set for my birthday and that would be my supply the following year. It usually contained a 100ml Eau De Toilette spray, body Lotion and a soap. Pregnancy brings back another vivid recollection of a fragrance...the year was 1993 the year my eldest son was born and the fragrance was "Foud'elle" by Ted Lapidus. I was busy selling, this soon to be launched female fragrance collection to the retailers, so several times a day I had no choice but to spray in order to allow them to experience the delight of this fruity floral fragrance......How I coped with the "sell in" day after day...I just don't know, as just the thought of it now still makes me want to vomit....Shame! it wasn't that the fragrance was that bad, but I was pregnant and it was just too fruity for me! The fragrance was discontinued some years later but the aroma is still imprinted in my memory. I am feeling nauseous looking at the bottle! So next time you feel like being taken back to a time that you remember with affection, just have a quick spray of the fragrance that evokes those memories..and enjoy! I would love to know which fragrance evokes memories within you...so please leave a comment..
Is due to open its 4th store in South Africa very soon...The shop is being shop fitted as I write and will be located in the old Apple iStore position, 1st Floor Entrance 7, Gateway Theatre Of Shopping. I can't wait for it to open but the location is too close for comfort...How am I going to resist the temptation when my two weakness's are handbag's and shoes...Help! Is an ALDO Group brand. Founded by Aldo Bensadoun, the first ALDO store opened its doors in 1972 in Montreal. 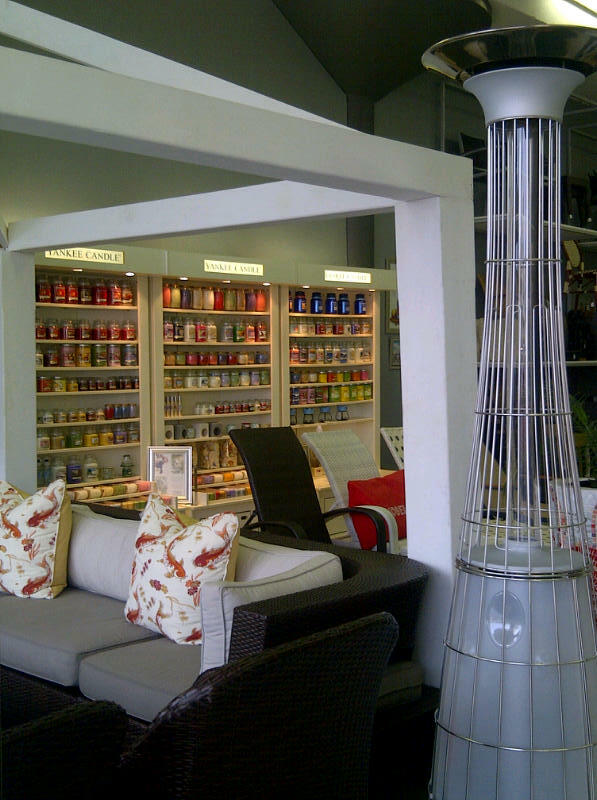 Today, the company boasts over 1,600 retail stores in over 65 countries worldwide. 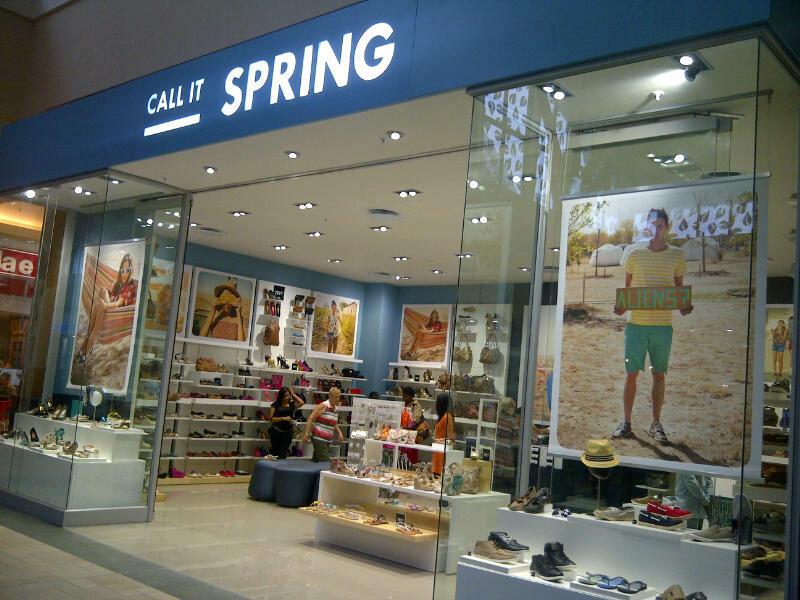 The Call It Spring brand was founded in 1991, and today operates over 200 stores worldwide.Call It Spring will also be expanding into the Southern Hemisphere and the United Kingdom in 2012. 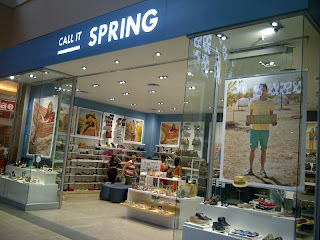 Home to the latest footwear and accessories, Call It Spring reflects up to the minute trends that are easy on the purse. Created for original thinkers Call It Spring is the perfect place to experiment with personal style, to debut a new look, to figure out the meeting point between individuality and discovery. Drawing inspiration from the streets, the culture and of course, the trade and runway shows, our product developers delve into the world’s fashion capitals and their individual fashion trends wholeheartedly. Working up to a year in advance, our product developers are always ahead of the game, making it their mission to know what’s next. We never lose sight of our vision: to make people feel good, through the products and the service we provide every day. 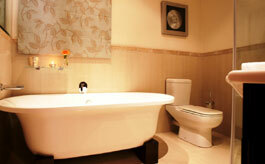 We are dedicated to providing Total Customer Service. ESCAPE INTO THE "WORLD OF GUERLAIN"